Absolutely. 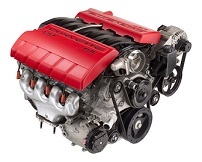 We sell used Porsche engines like the Super Engine all the way to the Carrera GT (980) engine. But what about the Porsche engine's condition? How about pinpointing its original source? Are the miles authenticated? There's more to check. 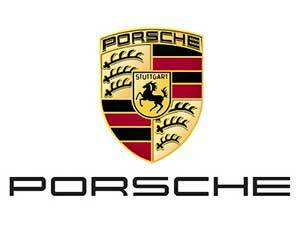 We check behind the scenes garnering only the best available used Porsche engine on the market to sell to our clients. No. Our prices are not higher. In fact, they're cheaper. There's a reason for it, but it's all relative to our business model. 1) Please have your VIN handy. 2) What's the shop address? 3) Which mileage Porsche's used engine are you looking for? When you buy an engine from us, it's different. We're different. The price is different. Buying from anyone else is choosing a service that connects exhaustively through complex distributorships. You don't want to choose a source where there is no real accountability, somewhere that considers your engine just another crate with identification markers. Most people are genuine and reliable to do their best, but lack of accountability creates a lot of headaches for consumers of used engines. We wince at stories where our clients paid good money for engines that just didn't work out. We love digital technology, too, but it's only a tool. It creates faster-moving engine crates. It helps us identify good engines to stock our warehouses. When the engines roll across our docks we have already verified its source. Most of the time we personally know the original owner of the Porsche engines we sell. That's not enough, though. Next, we physically and digital check for errors, review a performance mandate on each engine selecting those for used, identifying those to be labeled as rebuilt Porsche engines and accept or deny any that might qualified for remanufacture. Then, we work. Every minute of work on any engine including our remanufactured Porsche engines happens behind our own doors. We're not only intimate with the most reliable sources, but intimate with those who worked on it – the engine that will be installed. Auto parts we’re able to provide a guarantee. The sad part is, it's not hard to provide quality engines at great prices. Most just don't bother. It requires patience, diligence and a command of business know-how. These are something for which we've striven for several decades now. We refuse to alter our capacity to provide top-notch engines because of an overwhelming curiosity for making more money with the advent of new internet technology. We may be old school, but the truth is the best business models never stop working. Our customers provide returns with referrals for which the bulk of our business operates. Any business must have exposure. We keep it down to a minimum and leave the rest to focus on client satisfaction. You'll be satisfied when your Porsche is running at peak performance. More than likely, you won't be truly satisfied until it's running continuously and flawlessly. That's the real goal. We're more than just delivering a Porsche engine for you or your mechanic to install. We're about the end-goal our customers have in mind even when they're not really thinking about it. You can expect the same revelations regarding financing options, warranties or extended warranties that might apply to the engine of your choice. Get a guarantee on your next Porsche engine purchase. Need a warranty? Need a volume discount? Need assurances by speaking with a live personnel interested in you meeting your goals? We have all these and more. Get with a real used-engine dealer. Get your Porsche running in the manner it is accustomed and receive dignity you'd expect on your investment along with terrific low prices on the engines.